These Pictures Taken in October of 1999, by Me....Jan. Please do not copy. Netcher Road Bridge Built in 1999. It is 110 feet long and spans Mill Creek, in Jefferson Township. Built in 1895. It is 100 feet long and spans Mill Creek in Denmark Township. Built in 1913. It is 97 feet long. This bridge was built from the remanents of the orginal bridge that was washed out in a flood. Caine Road Bridge Built in 1986. 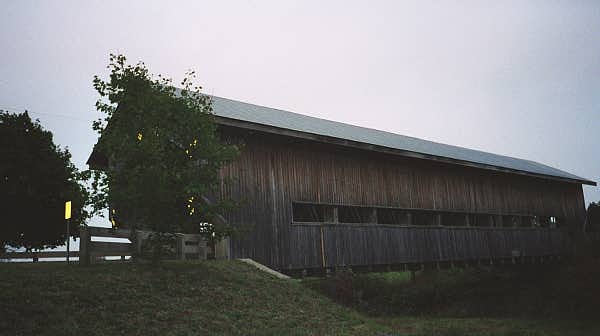 It is 97 feet long and spans the Ashtabula River in Pierpont Township. Vote for me in Great Covered Bridge Sites!